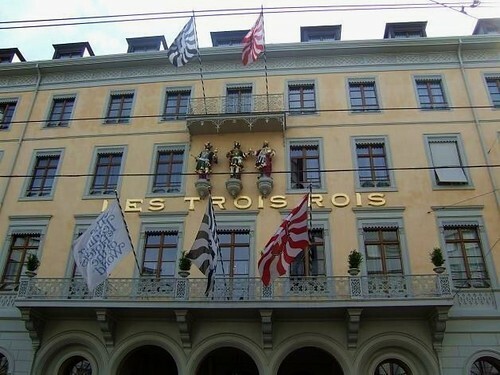 Located on the banks of the river Rhine in Basel, the Grand Hotel Les Trois Rois(Three Kings) is one of Switzerland's leading hotels. This historic five star hotel is well known for its luxury and first class service. The impressive guest list includes: the Dalai Lama, Queen Elisabeth II of Great Britain, The Rolling Stones, Charles Dickens, Napoleon Bonaparte, Pablo Picasso and many other famous personalities. 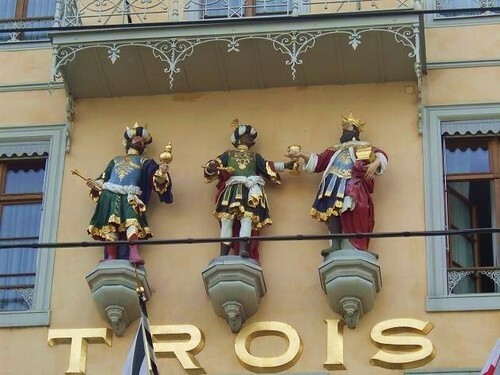 Official records of Les Trois Rois date back to 1681 but the building that stands here today was constructed in 1844. The hotel was fully renovated in 2004 and equipped with all modern facilities. 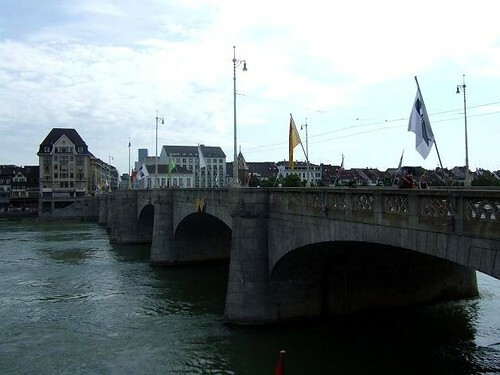 The Mittlere Brücke(Middle Bridge) in Basel is located on the place where the first bridge across the Rhine was built in 1225. 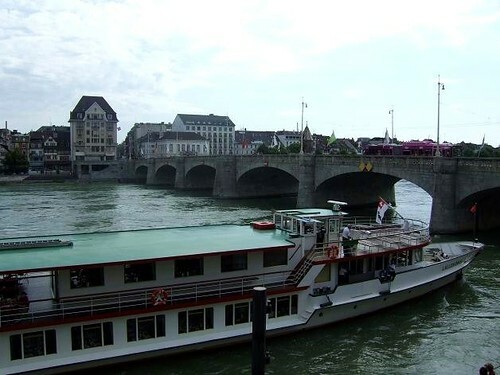 For centuries this was the only crossing point on the Rhine between Switzerland and the ocean. In 1905, after the introduction of the electric tram, the bridge was replaced by a stronger one. The Käppeli(chapel) in the middle of the bridge is a reminder of the first bridge. 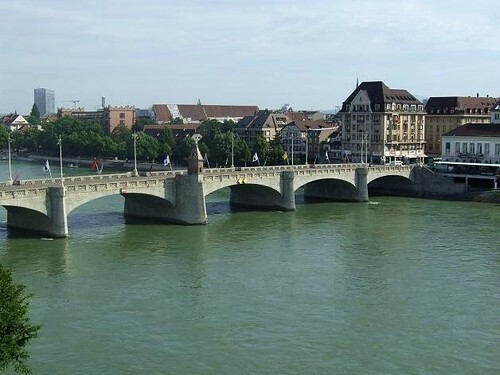 View location in Basel, Switzerland. 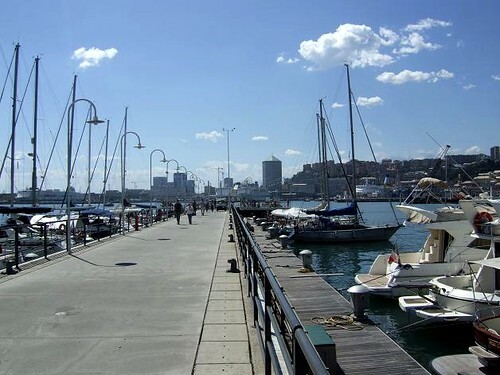 Redesigned by Renzo Piano in 1992, Porto Antico has become a popular tourist attraction in Genoa. Highlights in the old port are Bigo with the ice skating rink, the Biosphere, the "Neptune" Galleon, and the Aquarium, which is one of the biggest in Europe. 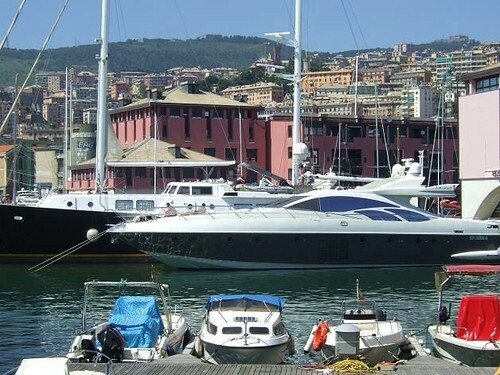 Porto Antico is also a great place for a walk along the sea, enjoy the beautiful views and have a look at fantastic yachts. 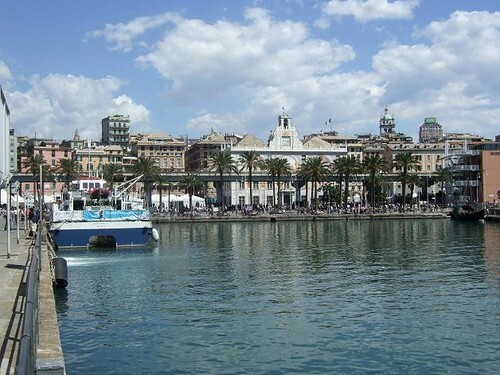 View location in Genoa, Italy. 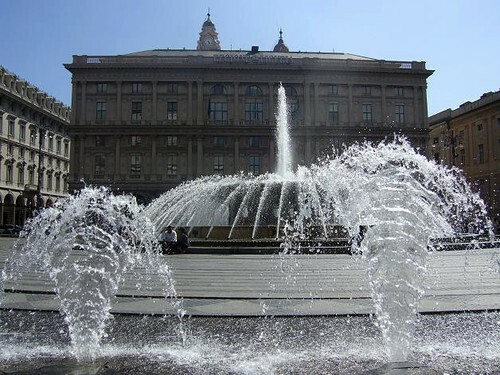 The heart of Genoa, the Piazza de Ferrari, is situated between the historical and the modern centre. 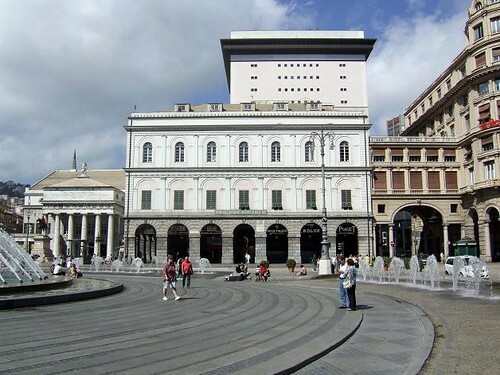 The square is surrounded by important buildings like the Palazzo Ducale, the Teatro Carlo Felice and the Palazzo della Borsa. 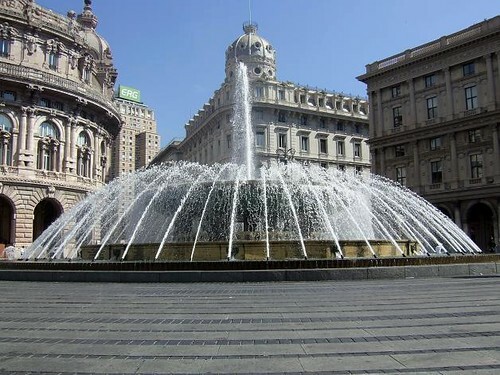 In the centre of the square is an impressive bronze fountain. 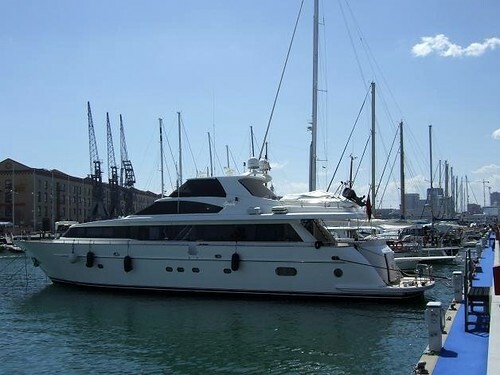 It was designed by Giuseppe Crosa di Vergagni in 1936 and has been restored recently. 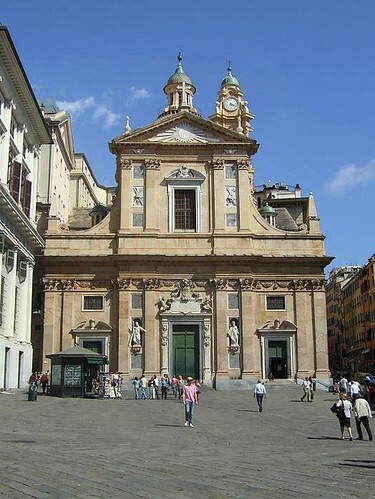 The St. Lawrence Cathedral is the seat of the Archbishop of Genoa. 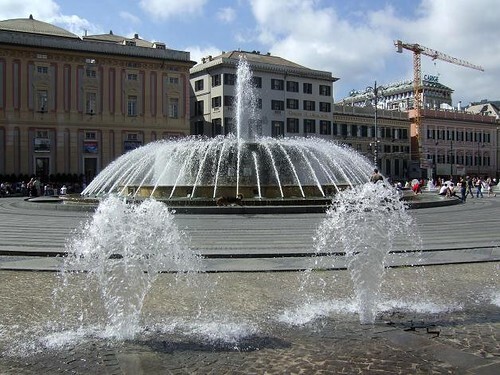 It's dedicated to one of the city's patron saints and is the main place of worship in Genoa. 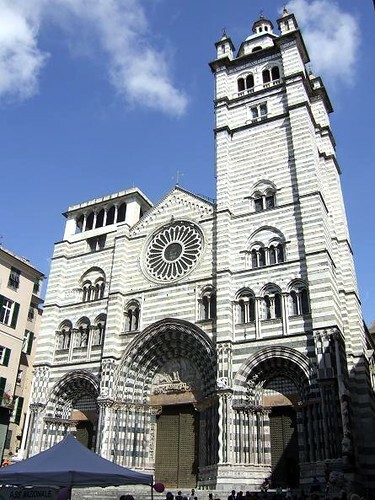 The cathedral was built in Romanesque-Renaissance style and has a beautiful black and white striped façade. Inside the Cathedral is the Cappella di San Giovanni Battista and the Museo del Tesoro. These house relics and a urn that is said to hold the ashes of John the Baptist. 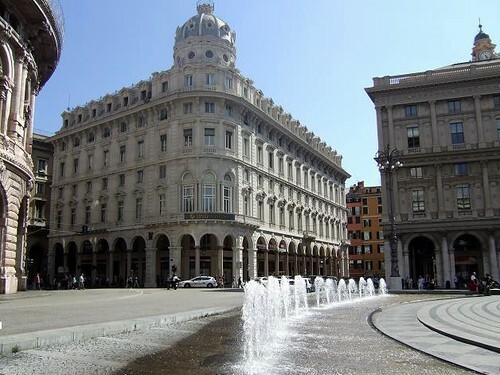 Palazzo San Giorgio is the headquarters of the Port Authority of Genoa since 1904. 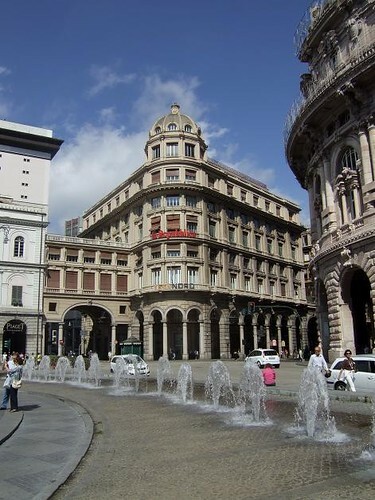 The building was constructed in 1260 by Guglielmo Boccanegra, uncle of Simone Boccanegra, the first Doge of Genoa. 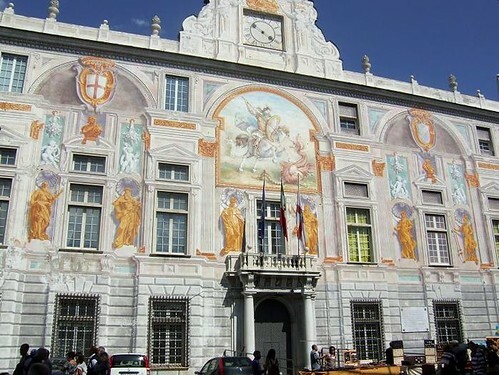 For a long period of time the palace was occupied by the Banca di San Giorgio, which managed the finances of the Republic of Genoa. The most famous resident of the Palazzo San Giorgio was Venetian explorer Marco Polo, when a prison was located inside the building. Tradition has it that during this time he dictated his travels to his cellmate Rustichello da Pisa and that they turned it into the book "The Travels of Marco Polo". 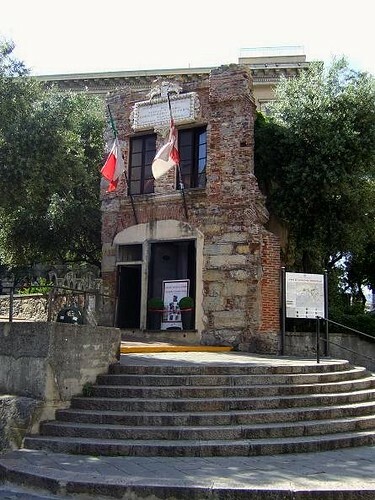 Porta Soprana is the only remaining part of Genoa's defensive walls. 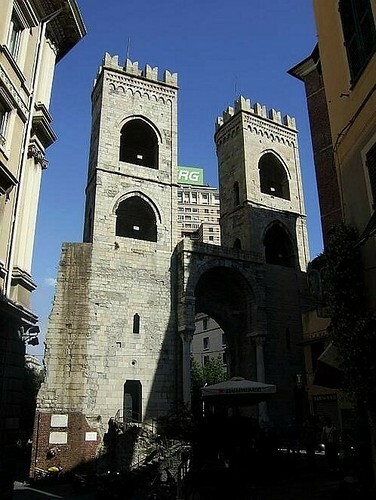 The gate, built in the 12th century, has been restored several times and is now a popular landmark in Genoa. 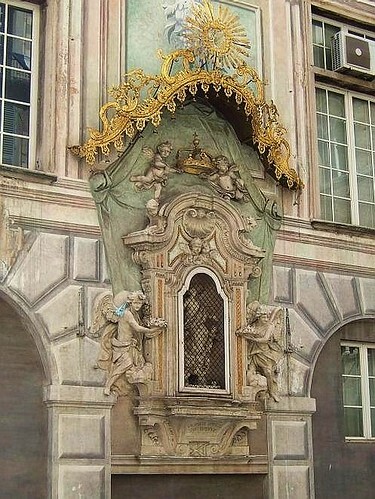 Porta Soprana is located nearby the remains of the St. Andrew Cloister and the House of Christopher Columbus. Chiesa del Gesù(full name: Chiesa del Gesù e dei Santi Ambrogio e Andrea) is a former Jesuit church near Palazzo Ducale in Genoa. The highlight of the church, constructed in the 16th century in Baroque style, are two paintings by Peter Paul Rubens. The "Circoncisione" hangs over the altar and the "Miracle of St. Ignatius" is on display in a side chapel of the church. 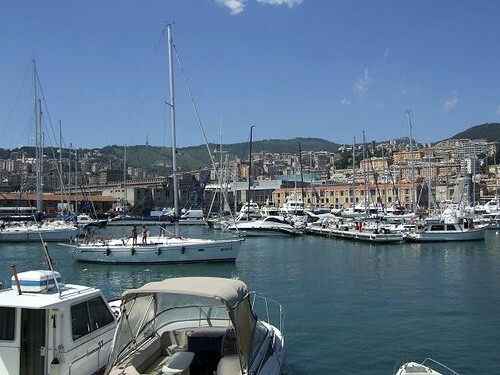 It's believed that Genoa is the birthplace of famous explorer Christopher Columbus. Nobody knows if this was actually the house where Christopher Columbus lived, but it was in a house like this where he grew up. 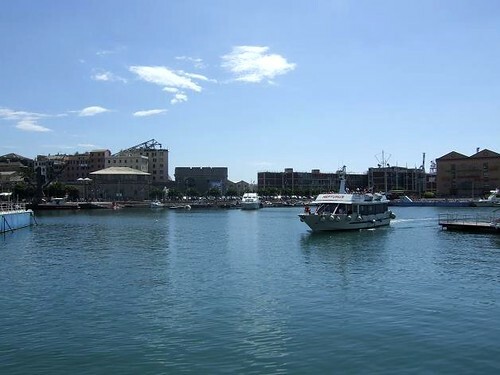 It's located close to Genoa's Porta Soprana and is open for visitors. 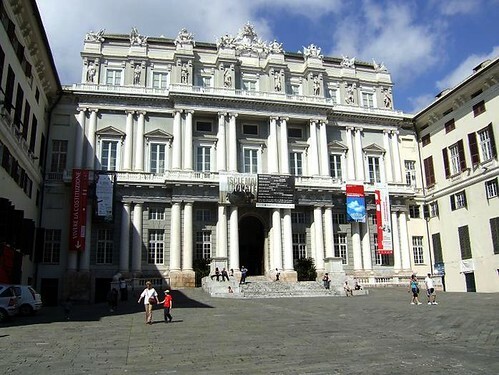 The Palazzo Ducale or Palace of the Doges is one of Genoa's most historical buildings. 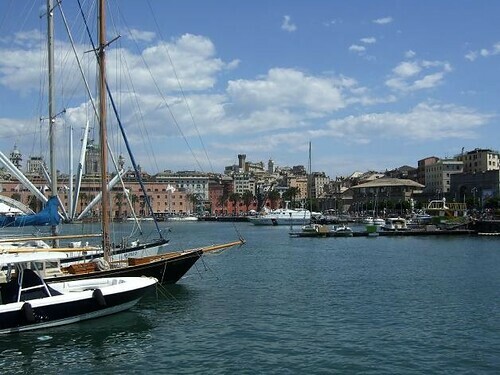 Construction started around 1298, when Genoa was a republic and an economical power throughout the Mediterranean. 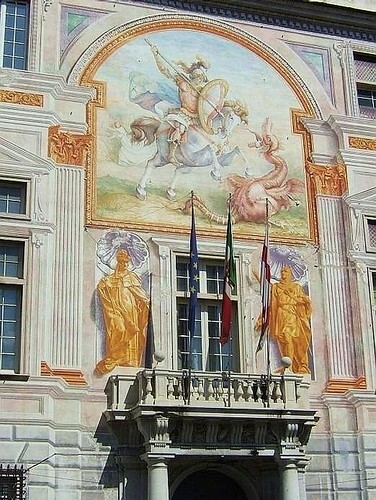 Since 1339 it is called the "Palace of the Doges" when it became the seat of the first Genoese Doge, Simon Boccanegra. 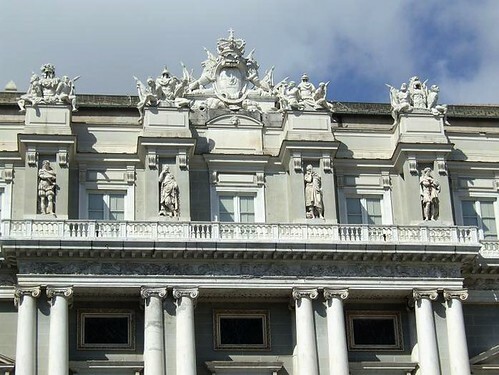 Today, after centuries of expansion and restorations, the Palazzo Ducale is used as a multi-cultural centre. 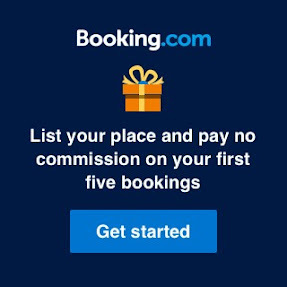 It now host important events, exhibitions, prestigious activities etc.